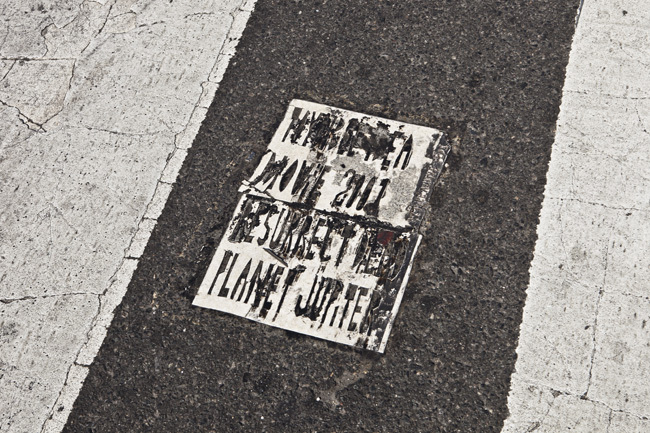 Your Neighborhood Toynbee Tile | What is it? Here’s a little Toynbee Tile theory for everyone out there. 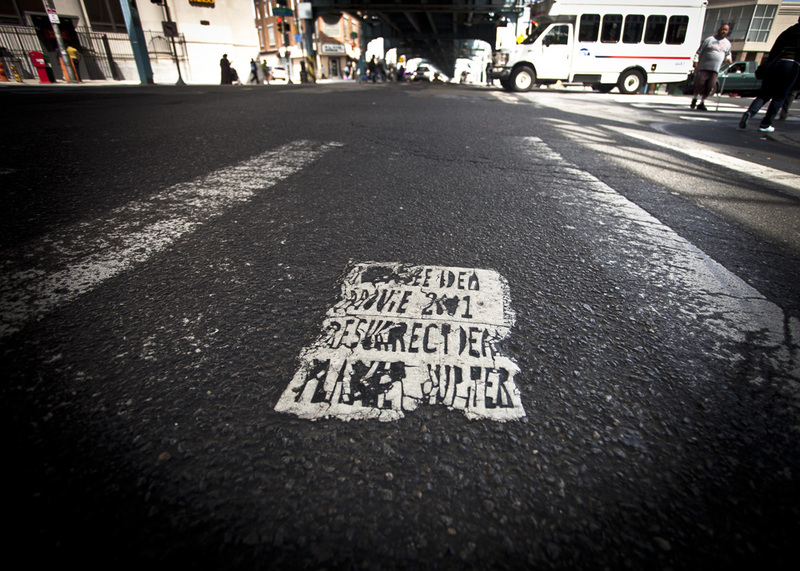 With a few exceptions, Toynbee tiles typically appear in areas of the greatest population density… central business districts of large cities, highways and rest stops. Of course I’ve considered that only tiles in these areas get noticed and reported, but there is some evidence that these high density areas have been the primary targets for tiling. I won’t get too deep into the evidence, because this post is oddball enough already. Let’s just say that a careful analysis of tile locations , information gleaned from Minority Association documents and close observation over a period of many years suggest that this is true. In 2002, the vast majority of new tiles began appearing in Philadelphia and its near suburbs only. There was an outlier in Connecticut and a healthy run in South Jersey, but literally hundreds have been placed in Philadelphia since 2002. 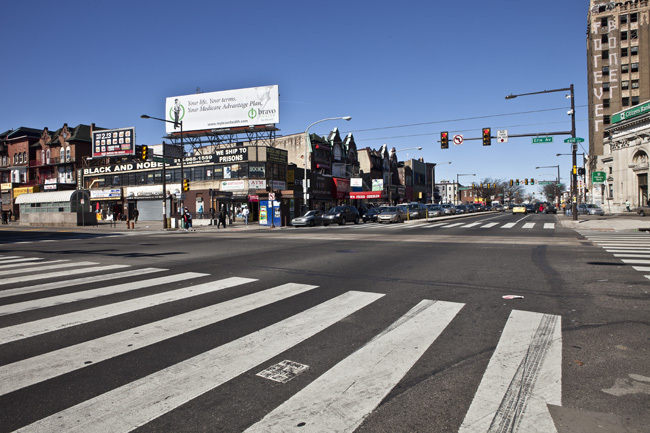 From 2006-2010 the tiler shifted focus from center city Philadelphia and began heavily tiling outlying neighborhoods. Route 1 was heavily tiled. Frankford Ave, Kensington Ave, Cottoman Ave, City Ave, 42nd Street, 52nd Street and Broad street were heavily tiled. My point is, keep your eyes out. And this concludes today’s lesson in Toynbee tile history. Thank you and Goodbye! Beautiful tiles…what a great billboard…we ship to prisons…bravo! 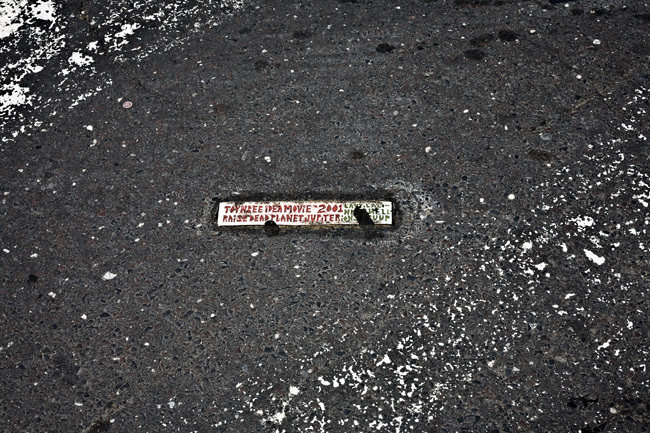 There is a Toynbee Tile @ Broad Street & Wyoming Avenue in the Logan section of North Philadelphia – 19140 Thanks! There are or were 2 tiles at that intersection. It was funny, because you could track the tiler as he got to the intersection, dropped one on Broad, then apparently stopped at dunkin donuts and dropped one on Wyoming after pulling back out to the street. You can still find tiles all up and down Broad from Olney to Girard. 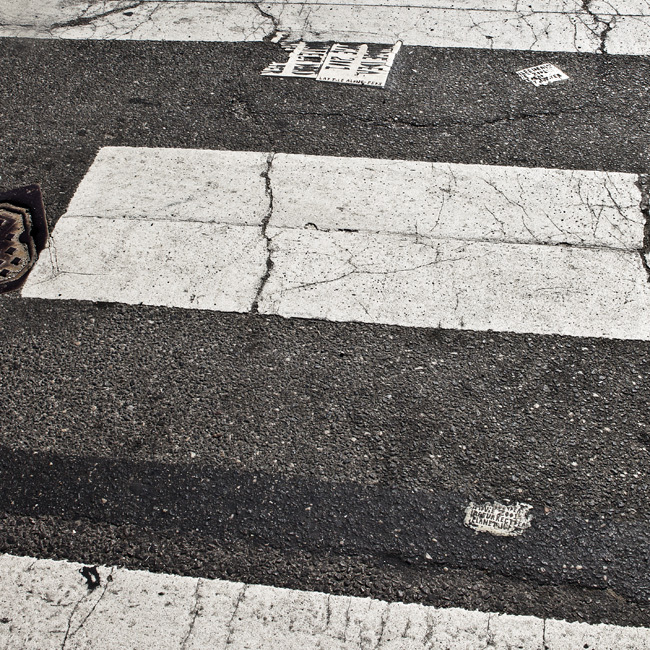 Have you seen tile at Tulip and Allegheny? Across from old Northeastern hospital. I have not, but I will check it out next time I’m out that way! Probably around Superbowl time for some sausage.